Pushing on the dust shield scraping. Well it did it again be it didn't stop this time, sure sounds like a new front hub is in the near future. To darn old to fool with it right now. A Toyota Tundra back into me the other day also. I was a good 30 foot from him and he backed it to my front bumper. Didn't even scratch the ranger, about torn the bumper off and crinkled his lower quarter panel. My front tow hooks took the punishment and delt his damage. The winter and salt usually put the last nail into a component's weak spot. Enjoy your new wheel hub. The battery in our car is from 2010, and with these cold snaps has held up. It's a miracle, the thing has been a ticking time bomb for years. But it's hanging on like Betty White. Those hubs are a weak link in these trucks. At least they’re easy to replace. I remember looking for a hub for our son's '93 Ranger. I seem to remember it was a very limited selection. They had to know engine size, axle ratio, auto or manual, and wheel base?, etc, etc. I finally found one at a wrecking yard 200 miles away. 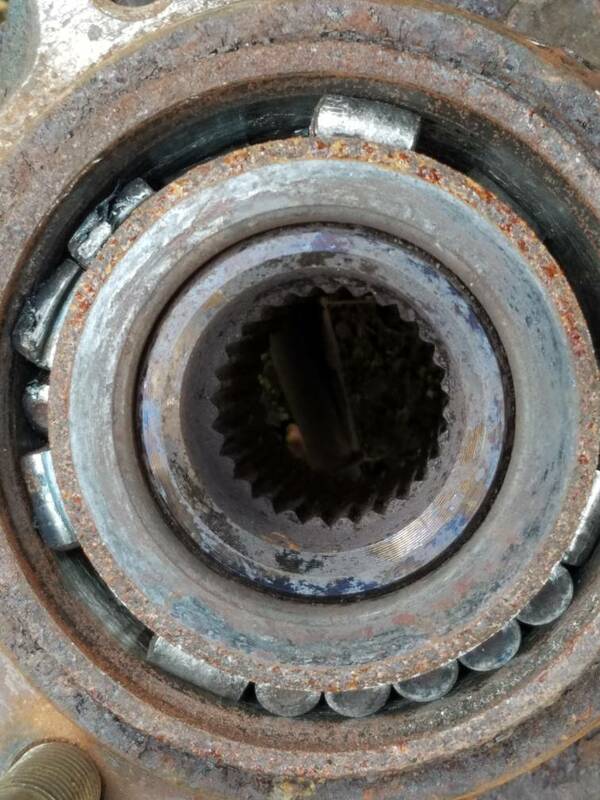 Randy's (and my) Ranger are a different front end than the '93s...it's basically just a bearing with a big chunk of iron around it...mine came off the shelf at, uh, some local parts store. Yep a entire unit and easy peasy to change.they run about 125.00 local or I can order one for about 60 bucks. Last edited by smokey; 01-18-2018 at 09:58 PM. Yes sir you remember correctly. One of the bolts stripped off got to love the salt it even rusts the bolt heads to where a socket won't hold.